Wonder School is a laboratory preschool collaboration with Columbus State Community College, Columbus Museum of Art, and The Childhood League Center. Wonder School fosters curiosity and discovery in an arts-rich, child-centered, responsive learning ecosystem for young children and the next generation of early childhood educators. Our mission is to foster purposeful play, critical inquiry, and a collaborative community approach to education—for children, for their educators, for a more creative and compassionate society. Wonder School is a half-day program which meets Monday through Wednesday at The Childhood League Center and Thursday at Columbus Museum of Art. Wonder School is taught by faculty from the Columbus State Community College (CSCC) Early Childhood Development and Education program and CMA’s Lead Teaching Artist and Young Child Coordinator, Cat Lynch. As a lab school, Wonder School will also feature student-teachers from the CSCC Early Childhood Development and Education practicum program. Have transportation to and from Wonder School’s locations: at The Childhood League Center on Monday-Wednesday and Columbus Museum of Art on Thursdays. Download the Wonder School information packet for more info including faculty bios, information about Wonder School’s philosophy and mission, academic calendar, and more . Because space is limited, we will be accepting the first 12 submitted registrations for children who meet the above requirements. Families whose forms arrive after the first 12 will be placed on a waiting list. The first 12 to submit the Wonder School Application and Family Contract will receive the complete registration packet. Once this information has been sent, you will have 10 business days to submit the additional required forms** and a non-refundable $50 registration fee before your slot will be given to a child on the waiting list. *We ask that you complete the Family Contract, though it will only apply if your child secures a spot in Wonder School. **To finalize enrollment, families must return all enrollment forms required by Wonder School and by the Ohio Department of Job and Family Services (ODJFS). These include: Wonder School Application; Emergency Contact information; Authorized Pick Up form; Family Authorizations; Family and Child Profile; ODJFS Child Enrollment and Health Info for Child Care; ODJFS Child Medical Statement for Child Care; ODJFS – Child Care Plan for Health Conditions or Medical Procedures for Child Care Centers and Type A Homes; ODJFS – Routine Trip Permission for Child Care; Wonder School Family Contract – Tuition and Fees. Q: Where is Wonder School located? On Monday-Wednesday, Wonder School meets at its dedicated classroom at The Childhood League Center, 674 Cleveland Avenue, Columbus. 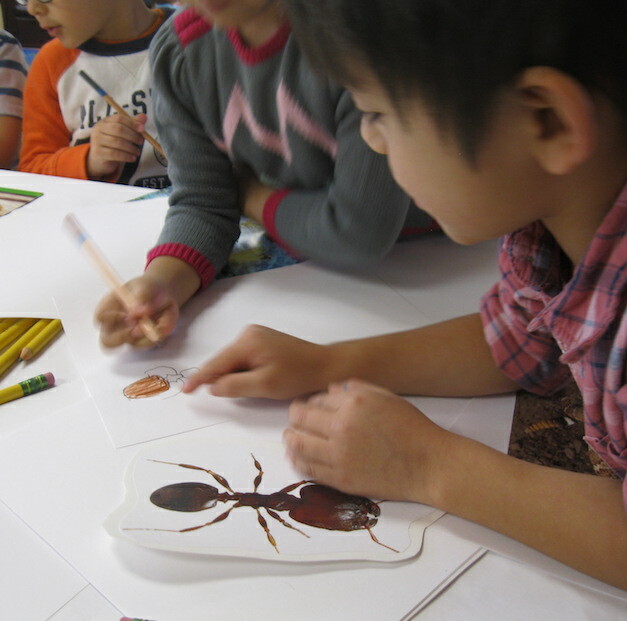 On Thursdays, Wonder School meets at Columbus Museum of Art, 480 E. Broad Street, Columbus. Q: When does Wonder School meet? Wonder School is a part-time program, 9AM-12PM, Monday through Thursday. The school year runs September 3, 2019 through May 7, 2020. Wonder School observes winter break from December 16, 2019-January 13, 2020, and spring break from March 9-14, 2020. Additional holidays are listed on the calendar in the Wonder School Info Packet. Q: How much does it cost to send my child to Wonder School? Tuition for the nine-month program is $4,050. Payment options and deadlines can be found in the Wonder School Application and Family Contract. Once your application has been confirmed, a non-refundable registration fee of $50 will be required to secure your child’s spot. Q: Do you offer scholarships or other options? Yes. Full scholarships and sliding scale options are available. Call 614.287.5411 to find out more. Q: Is transportation provided? No; there is no transportation between Wonder School locations. Monday-Wednesday, children will learn in the Wonder School spaces at The Childhood League Center; on Thursdays, children will learn in the Columbus Museum of Art. Children are to be dropped off and picked up by an authorized adult at the Wonder School site of that day. Q: Who are the Wonder School teachers? Wonder School is committed to a small child to educator ratio. Brief bios of Wonder School’s lead educators can be found in the Wonder School Info Packet. In addition to faculty from Columbus State Community College and a teaching artist from the Columbus Museum of Art, each day the teaching team also includes Columbus State student teachers. On days when Wonder School meets at the Museum, CMA teaching artists may provide supplemental instruction. Q: Can I be involved with my child at Wonder School? Absolutely. We welcome and encourage family involvement at Wonder School. Some examples are: reading to children, joining us on the playground, assisting with classroom projects, special celebrations, Columbus Museum of Art family events, planning and attending Wonder School family events. You are welcome at any time to visit and be involved. Q: How can I find out more? For more information about registration, please consult the Wonder School Registration Packet or email Stacey Raymond, ECDE Resource Lab Coordinator for CSCC at sraymon1@cscc.edu. For other inquiries, please email wonder.school@cmaohio.org. Q: How can I help with this important new initiative? If you are interested in financially supporting Wonder School and the goal of more accessible early learning, please contact Maureen Carroll at Maureen.Carroll@cmaohio.org.